Bowie proves he was way, way ahead of his time on this vintage clip. The past, as they say, is a foreign country. Take, for example, the issue of long hair. Incredible to think, in this post-hippy, post-grunge age, that a man having hair that reached down to his shoulders was the source of so much trouble. And it was pretty serious for a lot of people. Men were refused entry to pubs, suffered discipline at work… and even physical abuse for not having a short back and sides. “Are you a boy or a girl?” idiots would ask. So a young 17-year-old from Bromley, Davy Jones decided to do something about it. He went on the BBC’s Tonight programme in November 1964 with a bunch of like-minded longhairs and set up “the Society For The Prevention Of Cruelty To Long-Haired Men”. You need to have hair at least 9 inches long to get in. Wow. Davy Jones is, of course, David Bowie - in his first TV appearance. Straight-laced presenter Cliff Michelmore interviewed the future superstar about his luxuriant coiffure and the result is an amazing time capsule of another era. Jones/Bowie’s campaign was born of frustration, he says: “I think we’re all fairly tolerant, but for the last two years, we’ve had comments like ‘Darlin’ and ‘Can I carry your handbag’ thrown at us. I think it has to stop now. The best bit is when Michelmore suggests that the group were copying The Rolling Stones with their quiffs - and quickly gets shouted down! All was not what it seemed, however. 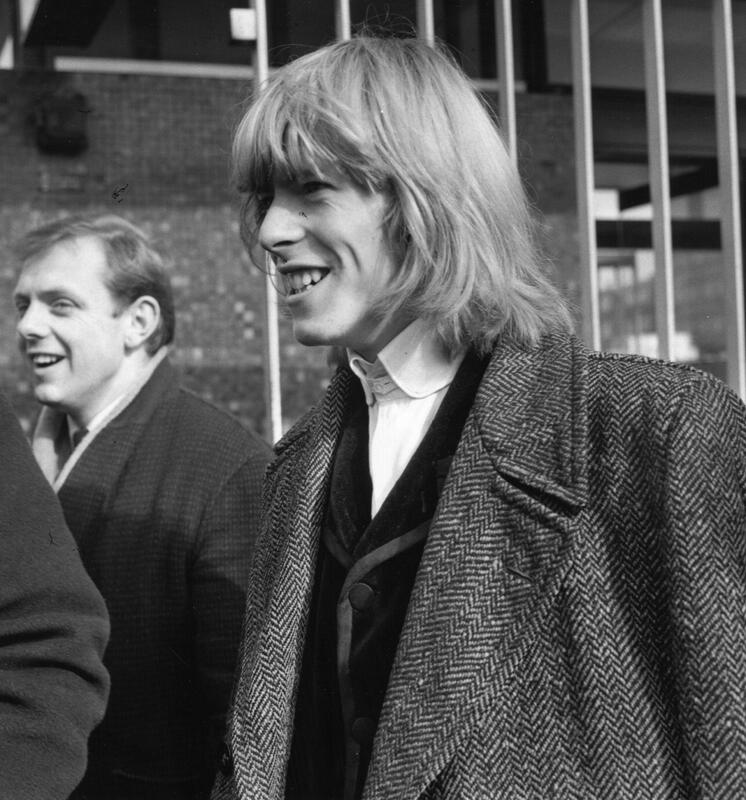 Bowie had recently joined the blues band The Manish Boys and the group got much press attention from the singers’ long locks. They released a single in March 1965 called I Pity The Fool, but its lack of success saw Bowie move on shortly afterwards. It would be a whole five years after this clip was shot that he made any kind of mark on the music business with his single Space Oddity. What was all the fuss about? Imagine what Cliff Michelmore would have thought of Bowie in 1971 - here he’s pictured with actress Dana Gillespie after the release of The Man Who Sold The World. Now THAT’S long hair. Coincidentally, Michelmore died earlier this year (a few weeks after Bowie), at the impressive age of 96.